Your itinerary includes some good beach time at Boulders Beach and Clifton Beaches. Your cultural itinerary includes sights like Robben Island Museum and Maclear's Beacon. There's much more to do: take some stellar pictures from Cape of Good Hope, trek along Platteklip Gorge, admire all the interesting features of Victoria & Alfred Waterfront, and take your sightseeing to a higher altitude at Signal Hill. Plan a Cape Town trip in moments using our itinerary builder. Amsterdam, The Netherlands to Cape Town is an approximately 15-hour flight. You can also do a combination of train and flight. You'll lose 1 hour traveling from Amsterdam to Cape Town due to the time zone difference. Traveling from Amsterdam in July, things will get slightly colder in Cape Town: highs are around 20°C and lows about 8°C. Finish your sightseeing early on the 23rd (Thu) so you can travel to Hazyview. Get outdoors at Kruger National Park and Zipline. 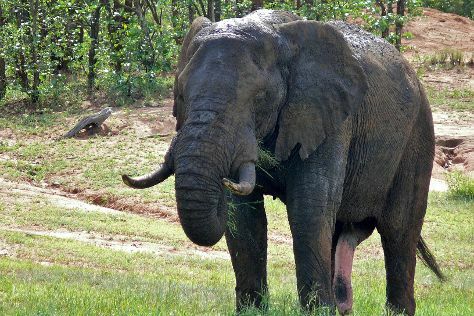 The adventure continues: look for all kinds of wild species at Wildlife Areas, tour the pleasant surroundings at Elephant Whispers, meet the residents at Elephant Sanctuary Hazyview, and look for gifts at Katundo Leather Shop. For maps, other places to visit, photos, and tourist information, read Hazyview online trip builder . Traveling by combination of flight and taxi from Cape Town to Hazyview takes 5.5 hours. Alternatively, you can do a combination of flight, taxi, and bus; or drive. Traveling from Cape Town in July, you will find days in Hazyview are somewhat warmer (24°C), and nights are about the same (11°C). Finish your sightseeing early on the 26th (Sun) so you can take a bus to Hoedspruit. 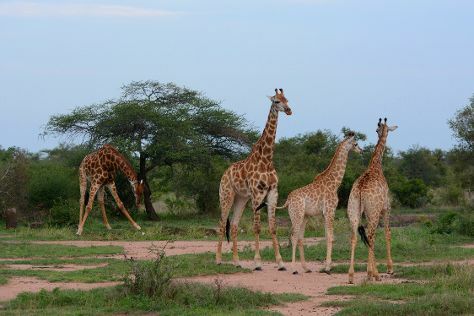 Get in touch with nature at Safaris and Moholoholo Wildlife Rehab Centre. iNyoka Art Gallery and Amarula Lapa are good opportunities to explore the local culture. Step out of Hoedspruit with an excursion to Qualito Craft Distillery in Phalaborwa--about 54 minutes away. Next up on the itinerary: tour the pleasant surroundings at Hoedspruit Endangered Species Centre, head outdoors with Siyafunda Conservation, meet the residents at Kinyonga Reptile Center, and look for gifts at Kumbaya Home Decor. To find traveler tips, ratings, more things to do, and tourist information, refer to the Hoedspruit attractions planning app . You can take a bus from Hazyview to Hoedspruit in 1.5 hours. Alternatively, you can drive. In July in Hoedspruit, expect temperatures between 26°C during the day and 10°C at night. Wrap up your sightseeing on the 30th (Thu) early enough to travel to Kruger National Park. Get in touch with nature at Game drives at Phalaborwa Gate in Kruger National Park and Bushmans Trail. There's lots more to do: trek along Sweni Wilderness Trail, stroll through Wolhuter Wilderness Trail, take some stellar pictures from Nkumbe View Site, and get outside with Wild Frontier Adventures. To see reviews, traveler tips, other places to visit, and more tourist information, you can read our Kruger National Park itinerary builder site . Do a combination of bus and taxi from Hoedspruit to Kruger National Park in 2.5 hours. Alternatively, you can drive. In July, plan for daily highs up to 26°C, and evening lows to 10°C. Finish up your sightseeing early on the 4th (Tue) so you can travel to Johannesburg. Satisfy your inner culture vulture at Apartheid Museum and Constitution Hill. Spend the 6th (Thu) spotting exotic species with a safari tour. There's lots more to do: brush up on your military savvy at South African National Museum of Military History, test your problem-solving skills at popular escape rooms, and steep yourself in history at Mandela House. To find where to stay, reviews, photos, and other tourist information, go to the Johannesburg visit planner. You can do a combination of taxi and flight from Kruger National Park to Johannesburg in 5 hours. Alternatively, you can drive; or do a combination of taxi and bus. Plan for a bit cooler nights when traveling from Kruger National Park in August since evenings lows in Johannesburg dip to 7°C. Finish your sightseeing early on the 7th (Fri) so you can travel back home.